As I am starting to write this post I am reminded that this is one of the last editions of Thursday Morning Superhero in 2016. Our annual Holiday Gift Guides will grace our page next week and then it will be a spring to leave 2016 behind and move on to 2017. Since there isn't a dedicated comic book guide, I want to share one more tasty pick for your comic book reading loved one. Even though it is an older title, I can't give a higher recommendation to Invincible by Robert Kirkman. A good buddy of mine lent me the first few trades and it is like no other superhero title you will read. Go find a used copy on the cheap and spread the comic book love this season! 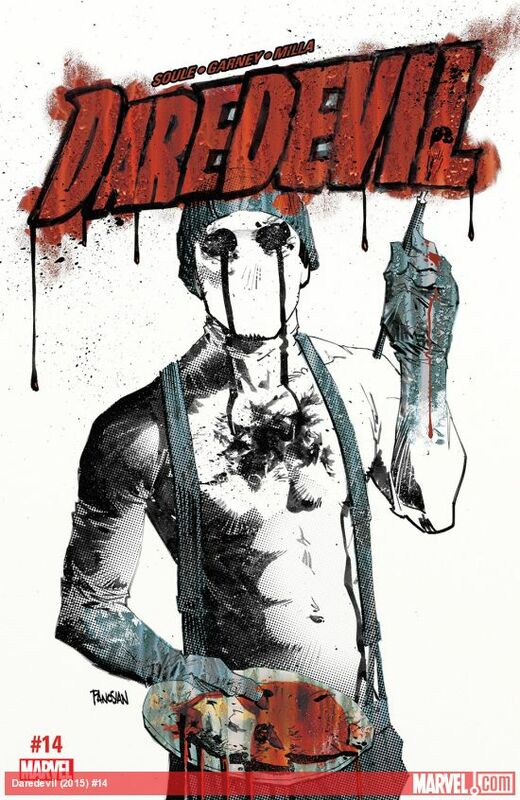 Daredevil #14 - Charles Soule sure knows how to pen a dark Daredevil story. When we last left, Blindspot had been taken captive by Muse after freeing some hostages. Feeling lost and responsible for what might happen to Blindspot, Daredevil challenges himself to hone in on what makes Muse unique so he can pick up his scent or heartbeat out of the millions that surround him. The sheer terror of this issue should not be understated. We are taken to Muse's lair where he keeps his victims and turns them into art. In a scene straight out of a horror movie, Muse is showing Blindspot his works of art when Daredevil breaks things up. I won't get into any spoilers, but what happens next left me absolutely stunned and will have serious repercussions moving forward. Soule's run with Daredevil is quickly becoming one of my favorites and I cannot wait for issue #15. One of the best ongoing series on the market today. The Unbeatable Squirrel Girl #15 - We are treated to a fun one-shot this week featuring an intelligent cat (aren't they all!) and a battle against Taskmaster. This comic never ceases to surprise me, and this issue included one page cat dream comics (which were great! 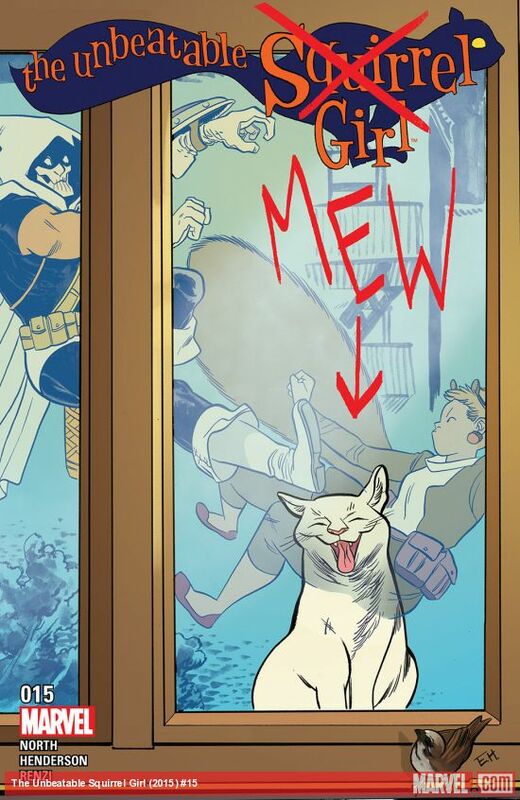 ), cats taking over social media, and the unrelenting power of Squirrel Girl's tail. I don't like giving my friend Jeff much credit, but steering me towards this series was a great call. Teenage Mutant Ninja Turtles #65 - This week we are treated to a legitimate comic book holiday special. Pulling on the nostalgic heart strings of Christmas specials from your childhood cartoons, the turtles get together and throw a holiday party as a distraction to what is going on with Splinter leading the Foot. You know it is going to be a good party when Michelangelo is hosting and Pigeon Pete and the other mutanimals show up. There is a nice surprise at the end and this comic is a jolly good time for all. 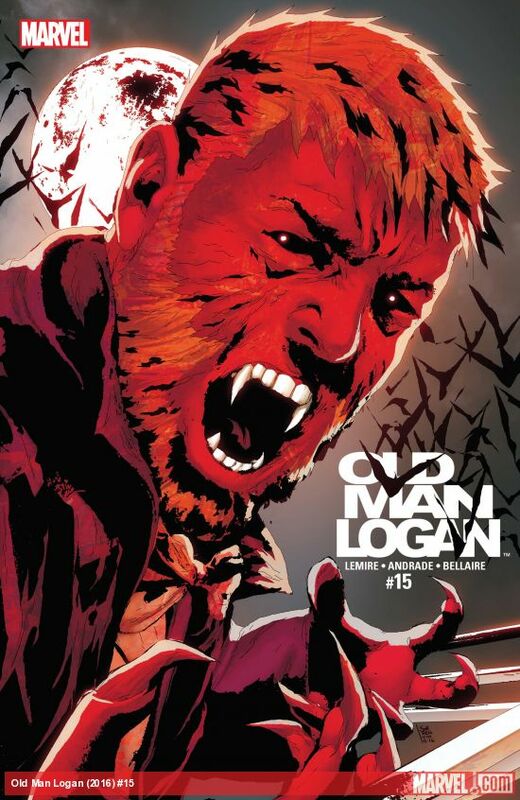 Old Man Logan #15 - When we last left Wolverine he had just been bit by Dracula and it is unknown if his healing power are quick enough to fight off the bite of this vampire. His rescue mission definitely takes a hit as it appears that Jubilee is still under control of Dracula. The Howling Commandos, about whom I know virtually nothing, are a fun team and I met Orrgo and couldn't be more delighted. I was a bit surprised to see this story line wrap up in two issues, but what an exciting pair of issues it was. While it is well known how much I love Jeff Lemire, I was equally blown away by the art that Filipe Andrade, Jordie Bellaire and VC's Cory Petit delivered.